John Walton studied at the Ruskin School of Drawing in Oxford, and at the Slade School of Fine Art in London where he obtained the University of London diploma for Fine Art and won the Melville Nettleship Prize for Figure Composition. He has been the Principal of the Heatherley School of Fine Art in Chelsea since 1974 and has his London studio in the school. 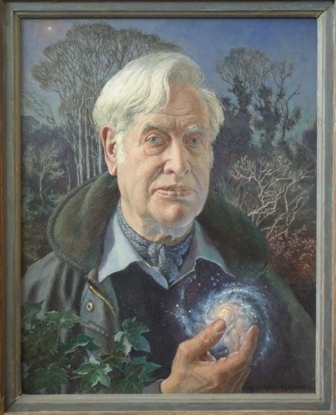 Elected a member of the Royal Society of Portrait Painters (RP) in 1976 he organised an exchange exhibition with the Societe des Artistes Francais in 1982 with RP members showing in the Grand Palais and the British Embassy in Paris. Chairman of the Federation of British Artists (FBA) from 1990-1997 he also acted as Senior Executive of the FBA leading negotiations for a new lease on the Mall Galleries. Exhibitions include the Royal Academy, The Royal Society of Portrait Painters, The Royal Society of British Artists, The Paris Salon (Hon Mention) and the Institute de France – Academie des Beaux-Arts.